We are always looking for new pinball's. We buy pinball's and do trades. Every pinball that we sell comes with a 90 day warranty. They will be completely refurbished. When we refurbish a pinball we take off everything on the play field, clean the play field, replace light bulbs and rubbers, clean all the plastics and posts, then reassemble it. Many of the pinball's we sell also have been converted to LED light bulbs. We service the games we sell. If you don't buy it from us then we don't service it. If your looking for a certain pinball let us know and we will try to find that machine for you. 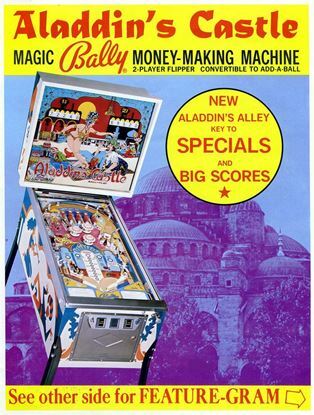 Aladdin's Castle Pinball Machine by Bally was made in 1976. This machine has a gene theme. 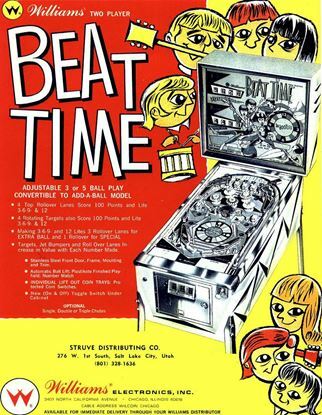 Beat Time was made by Williams in 1967. The backglass on this machine shows the name "The Bootles instead of "The Beatles". 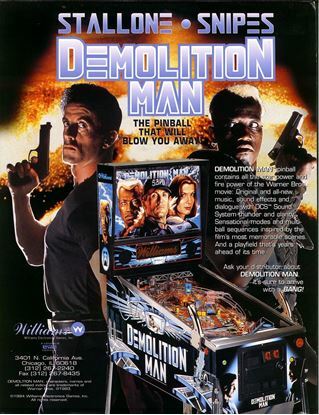 Demolish Man was made by Williams in 1994. This pinball is based on a movie. It is a wide body machine. 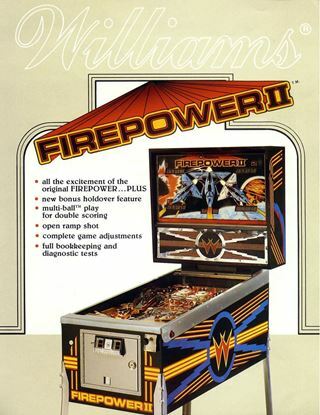 Firepower II is made by Williams in 1983. It is a solid state machine with a plane theme. 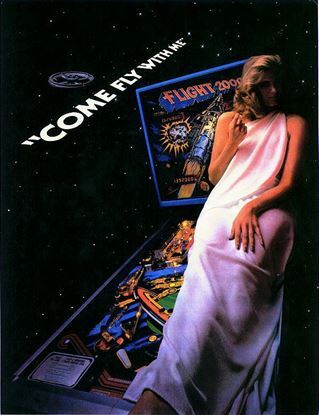 Flight 2000 Pinball Machine was made by Stern in 1980. It is the first talking Stern game. 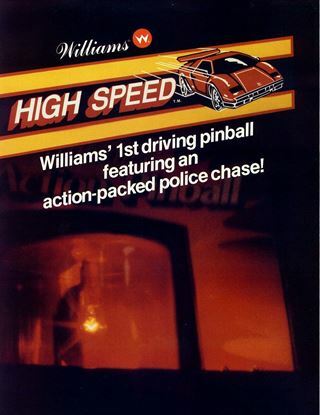 High Speed pinball made in 1986 by Williams. This is the first pinball to complete a whole song. It is also the First Williams pin game to use alpha-numeric displays and the first to have Jackpot available only during multiball.